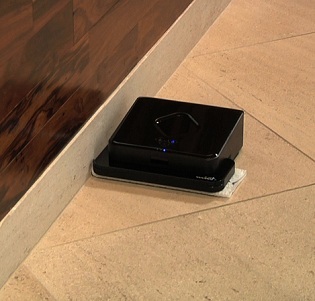 The Mint Plus Automatic Floor Cleaner from Evolution Robotics keeps dust, dirt and pet hair under control for you. Designed exclusively for hard surface floors, Mint Plus sweeps and mops using dry and pre-moistened cleaning cloths. With features like the Pro-Clean Reservoir Pad and expanded cleaning area, Mint Plus can mop further and better than ever before. And with faster charging and longer run time, Mint Plus can cover more ground more often for everyday clean floors. 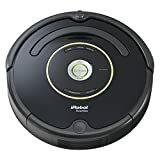 Guided by the enhanced NorthStar® Navigation System 2.0, Mint Plus cleans methodically by moving back and forth across open areas in straight lines, working around furniture and rugs, and cleaning along baseboards. Mint Plus’s compact design gets into tight spaces, under furniture and into other areas that are hard to reach with traditional mops and sweepers. Mint Plus is easy to use. Simply attach your cleaning cloth of choice, choose sweep or mop and let Mint Plus clean for you. 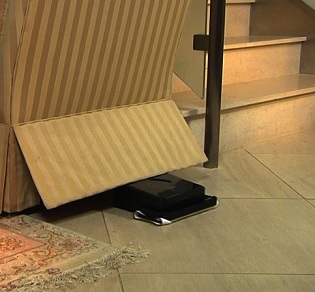 Since Mint Plus is not a vacuum, it operates quietly so you – and your pets – won’t be disturbed while it cleans. 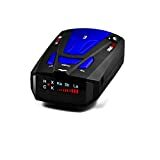 The NorthStar Navigation System works like an indoor GPS that helps Mint keep track of where it has been and where it needs to go. Specifically, the NorthStar Cube projects a signal that Mint uses to determine its location. Then as Mint starts cleaning, it builds a map of the area as it goes, marking walls, obstacles and drop offs as it encounters them. 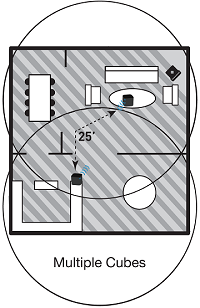 Using the NorthStar Cube as a reference point, Mint can map and clean up to 800 square feet either in a large open space or by discovering adjacent rooms. 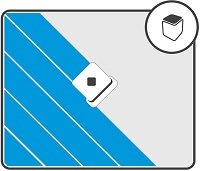 In mop mode, the cleaning area is restricted to optimize cleaning while the cloth is wet. Mint starts by cleaning open areas, moving methodically back and forth across the floor in parallel lines. As Mint encounters obstacles, it decides how to handle them – either cleaning around them and then continuing on its path or turning around, saving the area ahead for later. Periodically, Mint will return to these spots and clean them before moving on to an entirely new area. Once Mint completes open areas, it follows with a perimeter sweep along the edges of furniture and walls for a complete clean. When Mint is finished cleaning, it returns to where it started and parks itself so you know right where to find it. New with NorthStar2, Mint Plus can travel from one Cube to another to expand its dry sweeping area up to 2,000 square feet in a single cleaning cycle. Set up is easy. Simply place a Cube in the first area you’d like to clean and set additional Cubes set to different channels in other rooms or areas you’d like Mint Plus to reach. As Mint Plus encounters each new Cube it will lock on and keep building its map while it cleans. 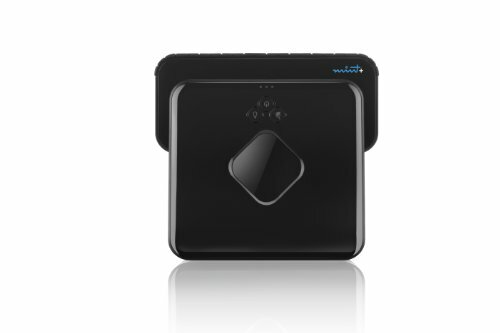 Only on Mint Plus- Additional Cubes for Mint 4200 can be used to set up different cleaning areas in the home without having to move the Cube from place to place, but Mint 4200 cannot clean from one Cube to another automatically. 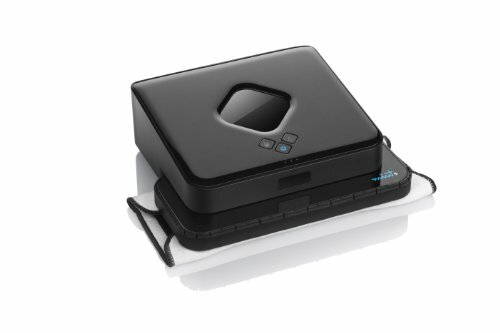 New with NorthStar2, the cleaning cycle can be paused to change the cleaning cloth by pressing any button or simply picking Mint Plus up by its handle while it is cleaning. The map of area covered is retained while paused so when Mint Plus resumes cleaning it can continue cleaning areas not yet covered. 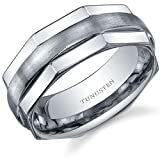 Only on Mint Plus. Mint Plus can be set to clean only open areas and not perform a perimeter clean so you can cover more ground more quickly. Only on Mint Plus. The Pro-Clean Reservoir Pad dispenses liquid throughout the cleaning cycle, continually refreshing the Pro-Clean microfiber cloth with fresh fluid. The fluid reserve keeps the cloth damp so Mint Plus can mop up to 350 square feet in a single cleaning cycle. Fibers on the re-usable Pro-Clean cloth attract and trap dirt, oils and grime from the floor, so you can clean effectively using just water or mild solutions. 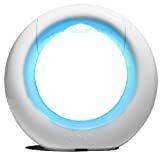 Mint’s compact size gets under furniture, into tight spaces and other hard to reach places. Mint can both dry sweep dust, dirt and hair and wet mop to get out deeper dirt and grime from your hard surface floors. 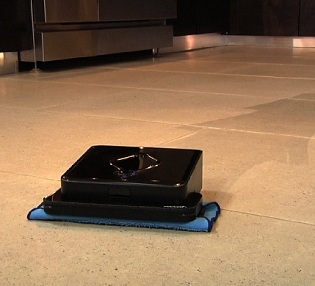 Mint Plus’s dual modes let you easily maintain all your hard surface floors with one device. In Sweep mode, Mint Plus uses a dry sweeping cloth to pick up dust bunnies, pet hair and grit from your floor. Use popular disposable cloths or Mint Plus’s specially designed dry sweeping microfiber cloths which can be washed and re-used hundreds of times. Mint Plus comes with 2 reusable microfiber sweeping cloths. In Mop mode, Mint Plus uses a pre-moistened cloth and a special back-and-forth mopping motion to pick up deeper dirt and grime. Mop mode can be used with pre-moistened disposable cloths on Mint Plus’s Multi-Purpose cleaning pad or with the Pro-Clean Reservoir Pad and microfiber cloth. 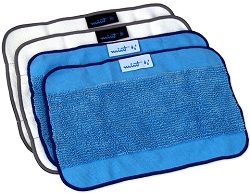 Mint Plus comes with 2 reusable Pro-Clean microfiber mopping cloths. With faster charging and longer run time, Mint Plus is always ready to clean for you. 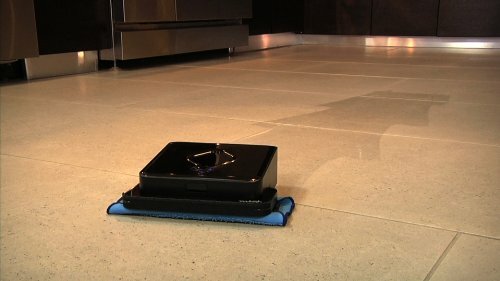 Mint Plus’s battery lasts up to 4 hours dry sweeping or 2.5 hours wet mopping. And Mint Plus can charge in just 4 hours – or as fast as 2 hours with the Mint Plus Turbo Charge Cradle (Cradle sold separately). 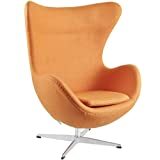 Great for larger homes, frequent use or more extensive mopping.